Your answer to a superior table at a lower cost. The innovative features of include: Lumbar, Cervical, Prone, Supine, Side Lying, Flexion, Inversion, Vibration, and much more! 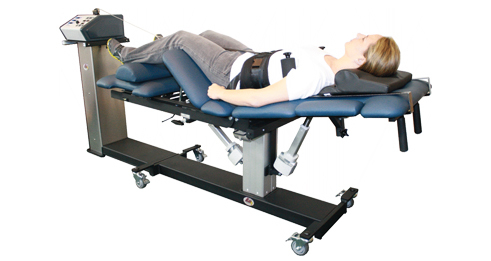 These features include: Powered Flexion Mobilization/Distraction, Gravity Assisted Supine positioning, Antalgic Positioning, McKenzie practitioners will appreciate the Powered Hyper-extension capability as well. Whole body inversion with vibration is available!